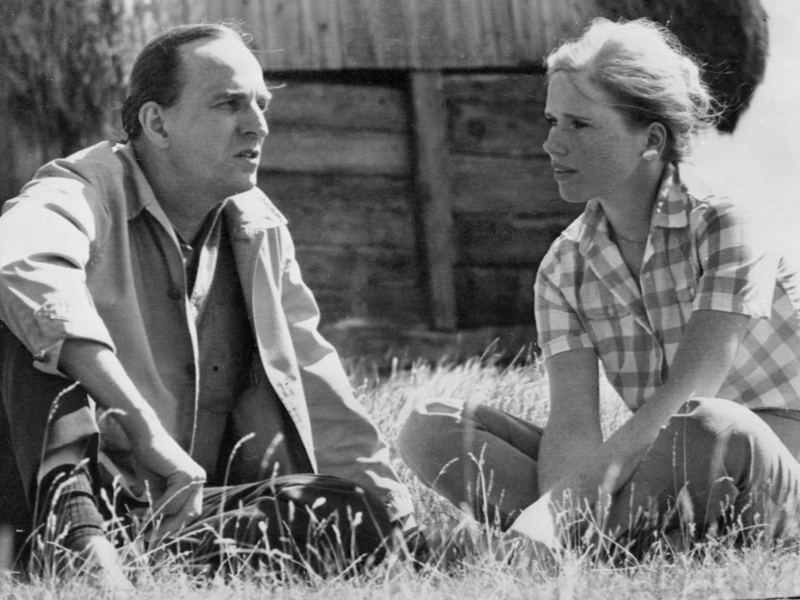 N.Y. Film Festival documentary: "Liv & Ingmar"
NEW YORK A new documentary casts its lens on one of cinema's most illustrious collaborations, the partnership of legendary Swedish filmmaker Ingmar Bergman and Norwegian actress Liv Ullman, who shared a 42-year friendship until the director's death in 2007. Unfortunately, "Liv & Ingmar" leaves too many questions unanswered about the pair's working relationship. The film, which screened at this year's New York Film Festival, is built around interviews with Ullman. Still radiant at 73, she vividly and affectionately describes an intense man who was private, controlling, violent, tender, and given to bouts of depression, who nonetheless engendered fierce loyalty on the part of his associates. Meeting during production of "Persona" (released in 1966), the two ultimately collaborated on 12 films, including "Hour of the Wolf," "Shame," "Passion," "Scenes from a Marriage," "Autumn Sonata" and "Saraband." Their collaborations far outlasted their romantic relationship; though Ullman left her husband to move in with the director and had a daughter with him, the two separated five years later. With Bergman unable to offer his perspective on the relationship, director Dheeraj Akolkar relies on letters written to Ullman, some behind-the-scenes footage taken on set, roaming-camera footage in Bergman's beachfront home on the island of Faro, and, of course, the movies themselves. However, while "Liv & Ingmar" documents episodes of joy and anger, it barely illuminates most aspects of their director-actor collaboration. What did Bergman see in the young actress that was unique? How did he direct her to give such emotionally naked performances? How did their collaboration differ from their work with other directors and actors? How did their relationship inspire or color the films he directed, even years after they separated? We don't find out. Worse, the film uses annoying editing tricks and sound effects to heighten the drama of the duo's recounted conflicts, or to shore up gaps in the narrative where Ullman's reminiscences alone aren't enough. Bergman referred to the couple as being "painfully connected." We see how, but "Liv & Ingmar" merely scratches the surface as to why. "Final Cut: Ladies & Gentlemen"
Adding to the genre of film mash-ups (promulgated on YouTube by editors with access to countless DVDs and a lot of time on their hands), "Final Cut: Ladies & Gentlemen" is certainly ambitious. It takes one of the movies' oldest plotlines - boy meets girl, boy loses girl, boy gets girl - and retells the narrative using clips from 450 movies. So we can see such screen icons as Charlie Chaplin, Cary Grant, Woody Allen and Brad Pitt collectively woo Lillian Gish, Vivien Leigh, Sophia Loren and Faye Dunaway. Decades and film locales blur. Dialogue and song lyrics overlap. But the passion stays consistent. Director Palfi Gyorgy's concoction is a fun conceit, but exhausting, and contains little of the ironic consistency of Christian Marclay's 24-hour film "The Clock," in which clips of clocks, watches and other timepieces from hundreds of films were shown in real time.